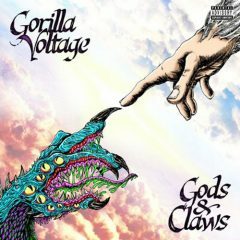 Previously known as The Damn Dirty Apes, Gorilla Voltage (consisting of the members ClockworC and Mr. Grey) hit the underground hip-hop scene hard with their debut album Ape-X, released in 2017. After an EP, re-release of Damn Dirty Apes material, and a compilation of “Lost Tapes,” fans were much anticipating their sophomore LP, Gods & Claws. I was completely unfamiliar with Lana Blac until I saw her perform at Fright Fest 15. After an awesome performance she hooked me up with a t shirt and CD. Drawing musical inspiration from Gothic metal and shock rock, the vampiress has hit the scene hard, heavy and bloody with her debut album, Nocturnal. 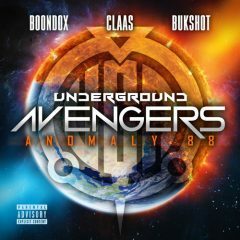 The Underground Avengers, or UGA, is a rap supergroup made up of underground favorites Bukshot, Claas and Boondox. First formed as a project in 2012 the group released a self-titled EP; no real intentions of releasing anything else. However, after a surprise concert earlier this year the group received recognition and was signed to Majik Ninja Entertainment. Anomaly 88 is UGA’s first album on MNE. 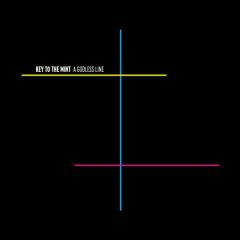 Hailing from Cleveland, OH, Key to the Mint is a post-punk/new wave band that formed in early 2015 out of the defunct shoegaze/noise band Privacy//Policy. Former members of P//P, Rich Kundracik and John Alexander, joined with vocalist Joel Anger and developed their previous post-punk sound into the more melodic new wave. A Godless Line is the group’s sophomore release. Hard at work horrifying the masses since 2005, Grave Robber have been anything but idle. Combining bouncy, catchy percussion with riffs and guitar solos as sharp as Dracula’s fangs, Grave Robber’s rugged and raunchy releases – Be Afraid, Inner Sanctum, Exhumed, You’re All Gonna Die and Straight to Hell – have garnered these horror rockers well deserved press from acclaimed punk and metal outlets alike for a good reason. 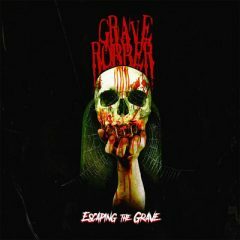 Seven years and fourteen drummers since their last LP, they’re finally back to haunt the masses with Escaping the Grave! 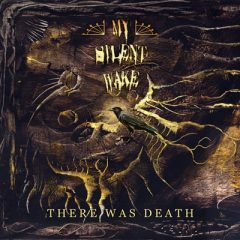 After two experimental/ambient albums, UK doom metal band My Silent Wake releases their first metal album since Damnatio Memoriae (2015). Set for a release sometime in mid-February, There Was Death will be the band’s tenth studio album, and contains some of their heaviest stuff to date with guest doom metal legend Greg Chandler of Esoteric, providing some growls and additional keys. 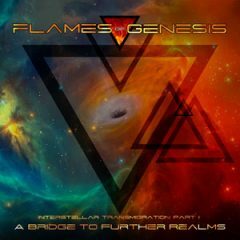 Nameless and faceless, The Voyager has come upon us with his dark ambient soundscape: Flames of Genesis. Chilling sounds and droning noises; seven soundtracks take the listener beyond that dark expanse we call “space” into the realm of Interstellar Transmigration Part I: A Bridge to Further Realms. Hand of Fire was formed in 2010 by vocalist Jim Settle as just a project. After a variation of members the band finally started in 2015 consisting of Jim Settle (vocals), Tiago Souza (guitars), Tom Eaton (bass), and Bill Davies (drums). Their debut album, originally titled Let the Killings Begin, was set for release in December of 2016. 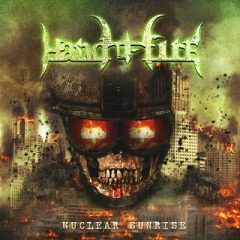 After much delay and anticipation the album finally dropped with the new title Nuclear Sunrise. 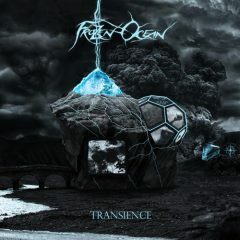 The name Frozen Ocean brings with it many things. Some may say “atmospheric black metal,” while others say “dark ambient” or just simply “black metal.” In all honesty it depends on which release you’ve heard. 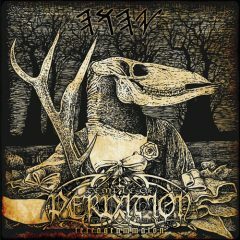 Regardless, the name is well known in all of these genres, and now the mind behind this project, Vaarwel, is offering this compilation FREE to those who wish to discover more. I am very particular when it comes to rap music, and this being only the second rap album that I’ve reviewed should speak volumes about how I feel about this artist and release. 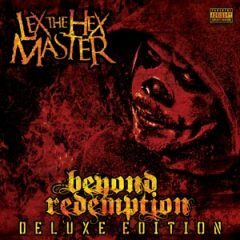 Beyond Redemption is Lex the Hex Master’s second LP, and after the success of Contact and his EPs many fans anticipated this album’s release. It finally dropped on Halloween!